Apply the brakes: You should always apply the wheel brakes when in a stationary position. When applying or releasing the brake, you or your caregiver should ensure that the opposite hand is supported on a nearby surface to maintain stability. Be careful when leaning and reaching forward: Make sure to maintain a firm, balanced position and always be cautious when leaning forward or reaching for objects. Make sure the wheel brakes are applied when necessary to ensure maximum safety. You can practise completing these actions in front of people before attempting them on your own. 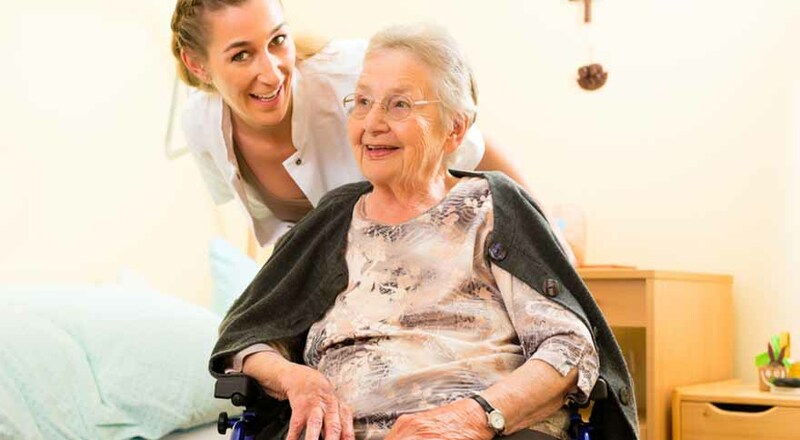 Practice before attempting to move onto non-flat surfaces: Prior to using inclines, declines or ramps, wheelchair users should determine their capabilities with a caregiver. Always ensure that someone is with you when approaching steep slopes and be sure to look out for uneven surfaces, spillages or obstacles that can be found on roads and pathways. Find an alternative route: Don’t attempt to go up a curb or tip your wheelchair without the assistance of a caregiver. Try and find an alternative route to getting on to higher surfaces such as paths or higher levels by using a ramp or elevator if available. Maintain your centre of gravity: To keep steady, it is important for wheelchair users to maintain their centre of gravity. A positioning belt can help aid this. Using power wheelchairs and knowing your capabilities: If you are using a power wheelchair, make sure that it is programmed within a speed range that you are comfortable with. Turn the power off when approaching a ramp or lift as it can be dangerous to leave the power on during this time in case you accidentally bump against the joystick. Don’t place heavy objects on the wheelchair handles: For caregivers, be very careful when placing objects such as shopping bags on wheelchair handles. These can cause the wheelchair to become unbalanced or tilt backwards. Using the pointers above, you should be able to operate your wheelchair in a safe manner. At Beechfield, we sell a range of different wheelchairs all over Ireland. For more information, see here.